<>We will cover independent reins first, as well as bridged and single-handed for both single snaffle reins and double reins. These are used on a snaffle bridle and are the most common bridle for young riders and young horses. 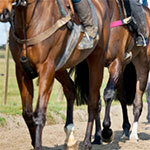 Firstly the reins should not be twisted and they should be held at the same length on both sides of your horse’s neck. The rein should pass between the ring finger and little finger of both hands, then pass across the palm of your hand, leaving the hand over the second joint of your index finger. At this point you close you hand and lock the rein with your thumb pressing on the second joint and rein. 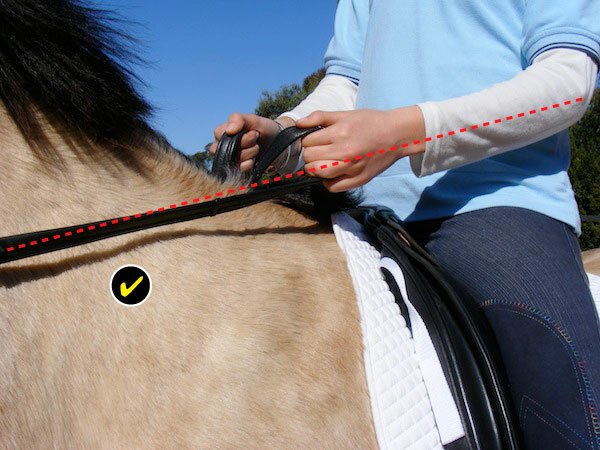 The excess rein should lie under your reins, resting down the right (offside) shoulder of your horse. Thumbs should always be on the top, as though you were holding a candle. Your hands must stay level and about four inches (10 cm) apart. You will know how high to hold your hands because the line from your elbow, through your lower arm, hands and reins should form a straight line to the bit. 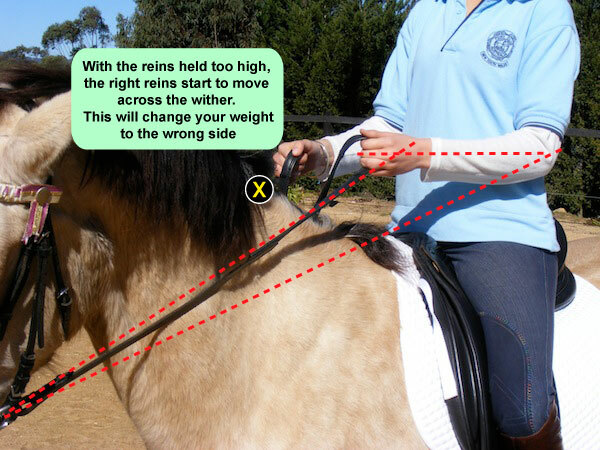 Bringing a rein across your horse’s neck is a bad fault, which will change your weight to the wrong side. Having tense turned-in or turned out wrists. Your wrists should be straight and supple. Hands facing down with knuckles on top will break the straight line of the reins. It will also cause you to lose the flexibility of your wrists and make your elbows stick out. There may be occasions, such as playing Mounted Games, when you will need to hold your reins with one hand, leaving your other hand free. If you are right handed then you will hold the reins in your left hand and if you are left handed you would be better to hold the reins in your right hand. Your reins should not be twisted and they should be of even length on both reins. 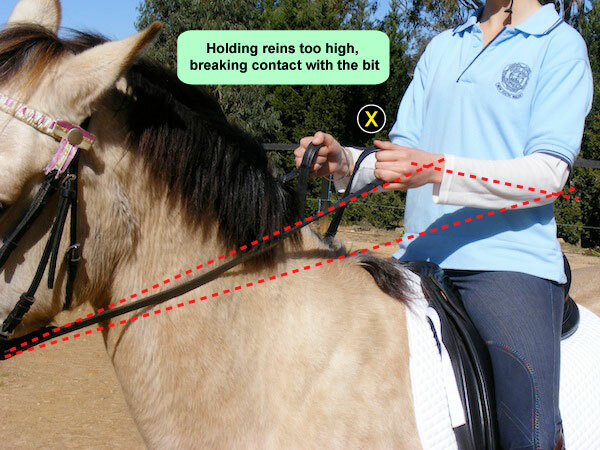 If you are holding the reins in your left hand, then the left (nearside) rein should pass between your little finger and third finger, the right (offside) rein will pass between the third and second finger. 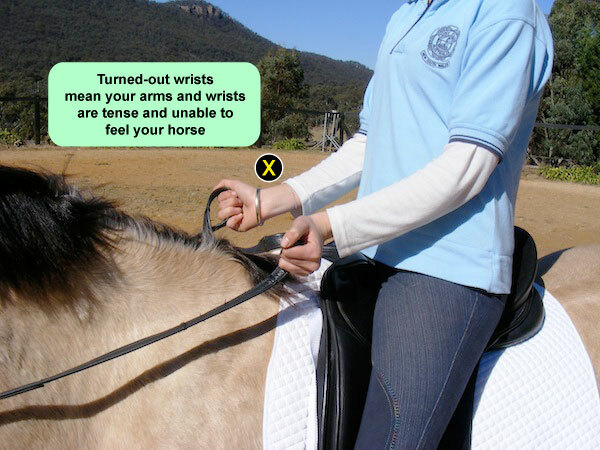 Both reins will then rest on your palm and exit your hand between your index finger and thumb. Your thumb will lock both reins to your index finger. Young riders, who haven’t as yet achieved a balance seat or independent hand, are better off using bridged reins. The bridged reins are held in the same way as the ‘independent single snaffle’ rein, however instead of letting the reins fall down your horse’s shoulder from each hand, the opposing rein is passed over your horse’s withers and is held by the thumb and fingers of each hand. In this way, you form a bridge over your horse’s withers. 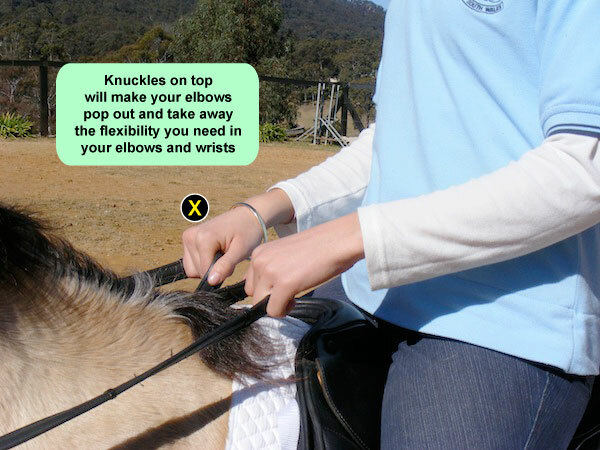 If you use bridged reins you should still hold your hands in the correct position with your thumbs on top. Bridged reins are also used in Australian Stock Horse classes and Campdrafting, usually with a split rein. 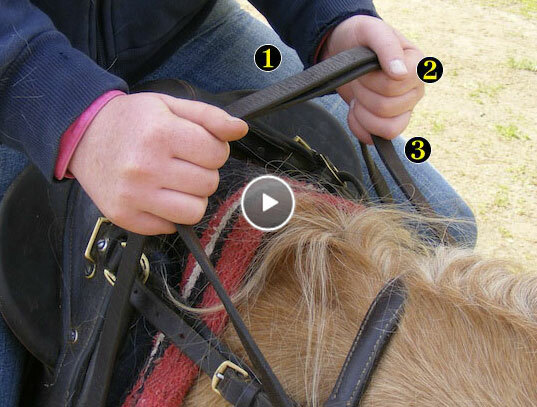 Double reins are used when you are using a ‘bit and bradoon (or bridoon)’ or a ‘curb’ bit. 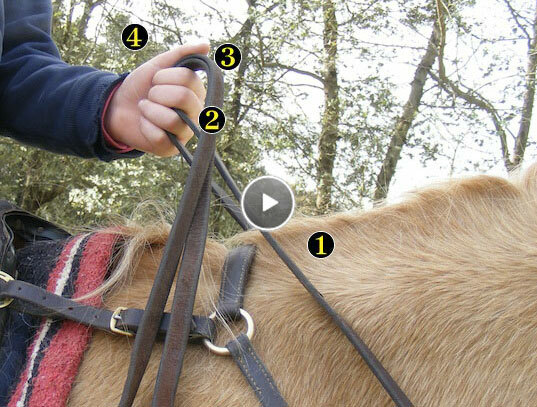 With these bits you will have four reins coming from the bit, two on either side. On each side, one rein will be attached to the snaffle ring while the other rein is attached to the curb ring or slot. There are various ways to hold double reins however the most common is to hold one curb rein and one snaffle rein in each hand. 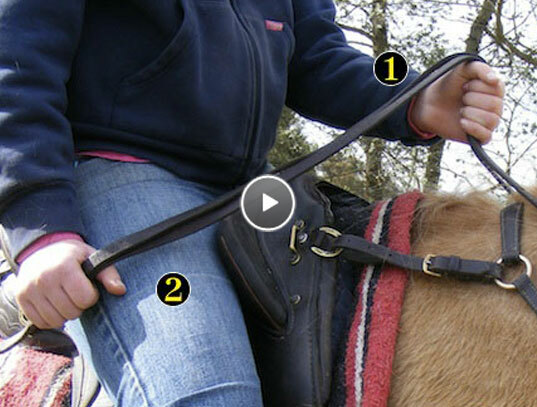 Either the curb rein or the snaffle rein will pass between your little finger and your ring (third) finger while the remaining rein (either curb or snaffle) will pass under your little finger. Both reins then pass over your palm and leave your hand together over the index finger. Your thumb will then lock both reins to the index finger. 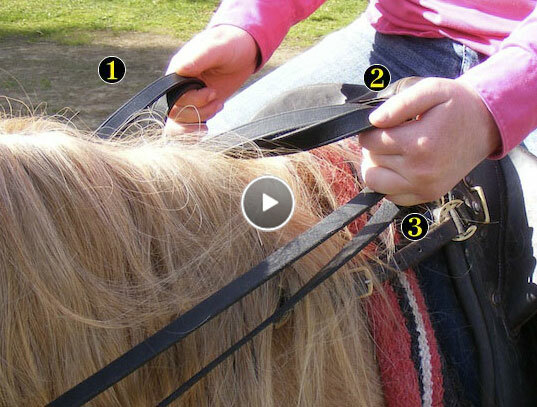 The remainder of the reins will fall below your hands and rest down the right (offside) shoulder of your horse. 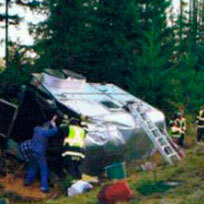 Note: You should use your snaffle rein along with your weight and leg aids. In other words, you should ride with your snaffle rein and only use the curb rein sparingly. 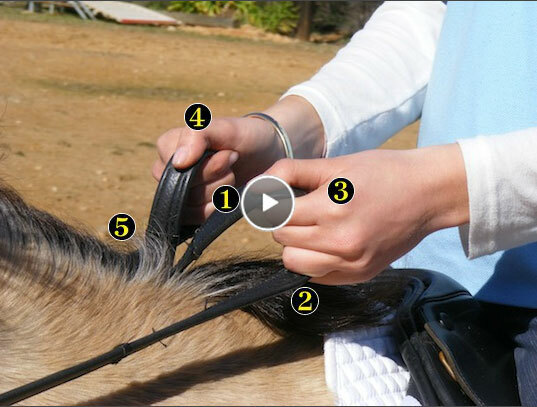 The curb rein and bit is very severe and if used incorrectly can cause pain and problems for your horse. Only experienced riders with good hands should use double reins. If your horse requires a stronger bit but you are not ready, then attaching a single rein to an equaliser (which bridges the snaffle and curb rings) may be the answer. This is also known as the Cavalry Hold so you can imagine that, today, it is mainly used for ceremonial purposes. 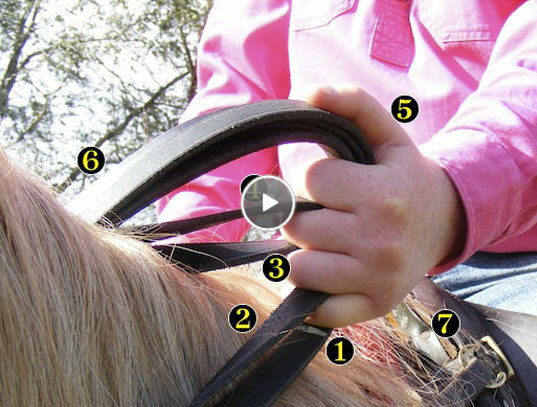 If you are going to hold the reins in your left hand, you would place the left curb rein outside your little finger, the left snaffle rein between your little finger and third (ring) finger, the right snaffle rein between your third finger and second finger, and the right curb between your second finger and index finger. 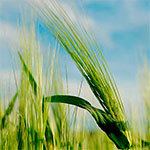 The reins would then pass over your palm and leave your hand between your index finger and thumb. Your thumb would then lock all four reins to your index finger. Your horse should still be ridden with the snaffle reins so you should keep the cub reins slightly looser. When you are trail riding or schooling a horse you may have a variety of different ways you hold your reins, however in the show ring there are rules that, if broken, can lead to disqualification. Split reins are usually two separate reins of plain leather which are not attached to each other or tied together in any way. You may use either hand to hold the reins, but because most people are right handed, the most common hand to hold the reins is the left. 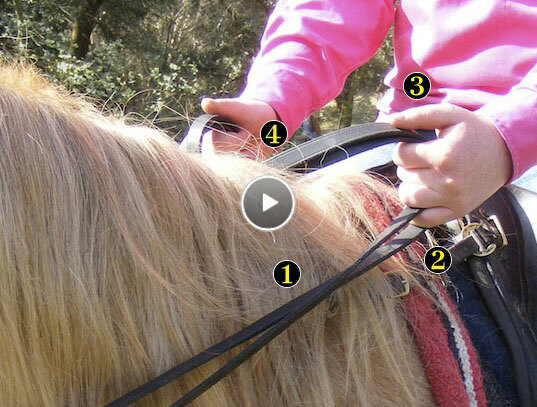 The split reins go from the bit to the index finger with the right rein on top and the left rein underneath it. You can keep the reins together or divide them with your index finger. 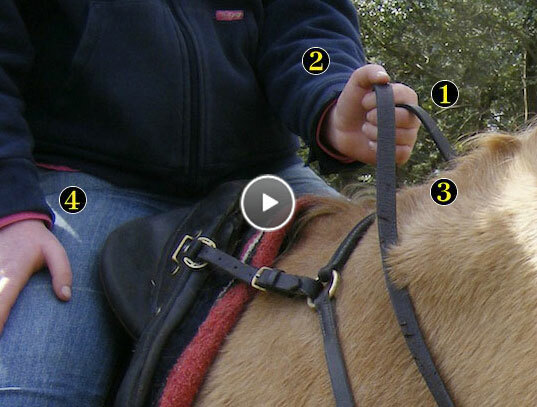 Your thumb will lock down the rein or reins to your index finger. 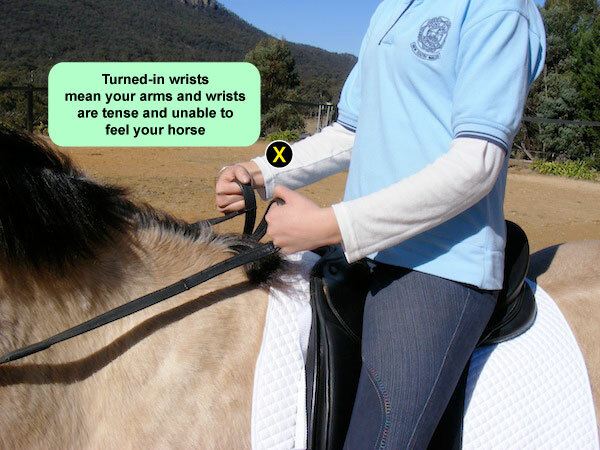 The two reins then exit your closed hand, with the ends of the split rein falling down the same side as the rein hand (left hand = left shoulder, right hand = right shoulder). Never divide the reins with more than one finger, this could lead to disqualification. If you hold the ends of split reins you must not have a finger dividing the reins and you must hold them at least 16inches (40.6cm) from the rein hand. Romal reins are usually braided leather, closed with an attached extension (the romal) which is held in the free hand. Note: We did not have Romal reins, so for this demonstration we used split reins. 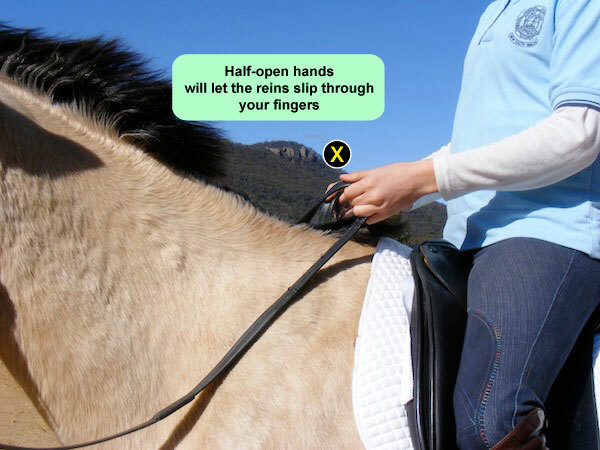 Romals can be held in either hand, with the reins coming from the bit to the bottom of the hand under the little finger. The reins pass through the fist and exit the hand over your thumb, which lightly closes your hand. No fingers are allowed to divide the reins and the end of the reins (the romal) is held in the non-rein hand, which is rested on your leg. The romal must be held at least 16inches (40.6cm) from the rein hand.